I didn’t get around to posting this at the time, but on another study break. You might have heard that Nokia, Microsoft, HTC and Sony Ericsson are challenging Apple’s trademarks for “App Store”. According to Microsoft, these companies “are seeking to invalidate Apple’s trademark registration for ‘APP STORE’ and ‘APPSTORE’ because we believe that they should not have been granted because they both lack distinctiveness”. Some folks argue that no one used the term Apps before iPhone. sharp develop for windows mobile 2003 apps? Nokia 6600 / Symbian apps? “Apps” as a word has been around for ages. Apple may have brought the term mainstream, but does that give them legal rights to it? Apps is just shorthand for an application. Store is a place to buy things. Car is a vehicle. Shop is a place to buy things. App Store, Car Shop – places to buy those said things. Nokia’s S60 applications (software/programmes) were frequently called Apps, though amongst the small minority then of the smartphone users. There were many individual stores that housed applications (though no one single place to get them all). Nokia did have a software shop (I forget the name) though I do remember being annoyed by their messages to get me to trial their stuff. That closed down. Any one remember it? – er, Windows is an OS. No one hearing Windows confuses it for another OS. Yes you have these things in walls called Windows but no one would confuse them for running programmes. Just like Apple in the computer world. In addition to Google’s own app marketplace, Amazon, Verizon and Vodafone have all announced that they are creating their own app stores for Android. So there will be at least four app stores on Android, which customers must search among to find the app they want and developers will need to work with to distribute their apps and get paid. Contrast this with Apple’s integrated App Store, which offers users the easiest-to-use largest app store in the world, preloaded on every iPhone. So the term is applied to an area of commerce that suggests its common use – a store that sells an app is an app store. A store that sells book is a book store. A store that sells music is a music store. On that note, iTunes may be the biggest online music store, but likewise it can’t be called biggest iTunes store, as iTunes doesn’t exist outside the Apple context, whereas App Store does. Maybe Apple App Store would work. But App Store alone seems too generic. Kudos to Apple and their aim for total simplicity. Put i in front of words and trademark description words. http://www.salesforce.com/company/news-press/press-releases/2006/12/061212-1.jsp << These might be the guys who owned the trademark for App Store (trademarked in 2006) and from whom Apple purchased it AFTER iPhone. I think this is somewhat quite different to the CISCO iPhone thing. Again, I’m not a lawyer. You can read up on Trademark stuff though if you want to ‘familiarise’ yourself. Best start of course as always is Wikipedia :p.
What Items can be trademarked? 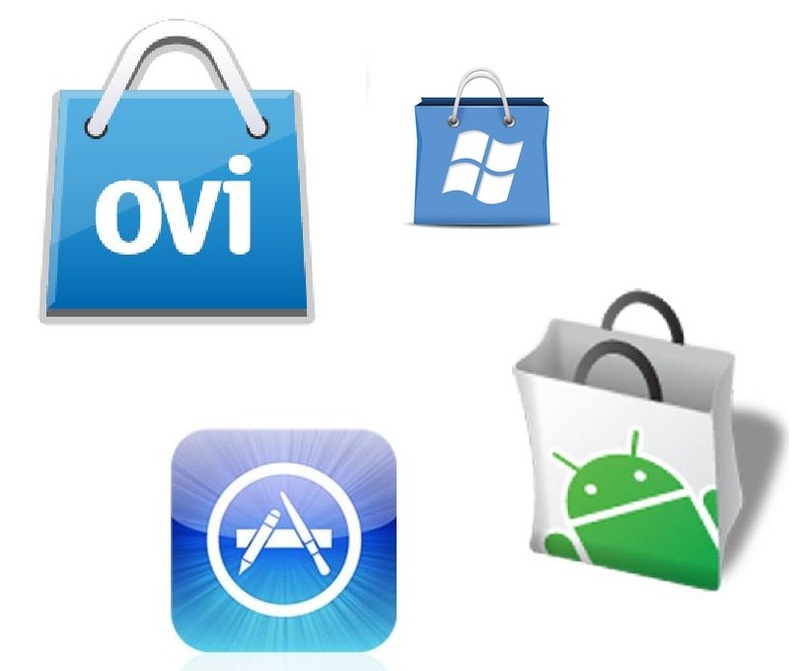 « Ovi Store Summer Gift of Games! 20 yellow ribbon premium games for free – download ALL from one app!